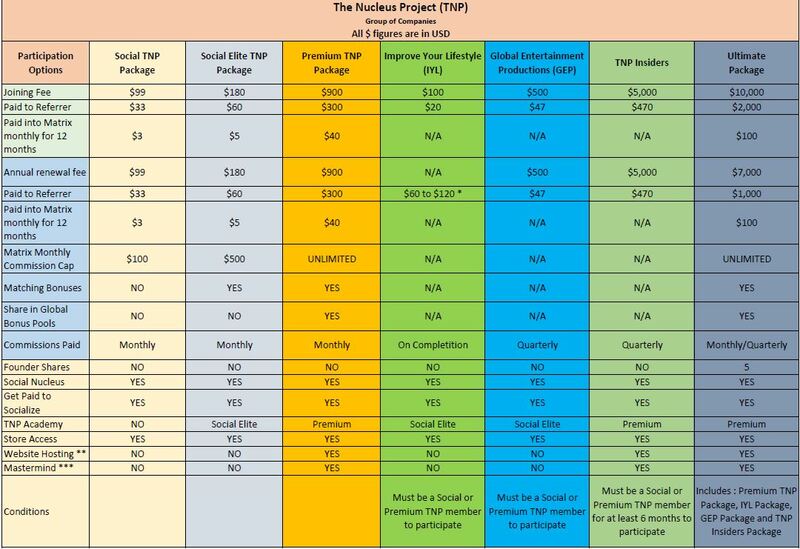 The following 3×7 commissions table is an example of how the program would look based on Premium level participation. (These figures are variable due to the different Affiliate product packages). Paid to the Active Social Elite and Premium members who have personally introduced at least 2 other Active Affiliates in their Matrix. The Matching Bonus is a percentage of their personally sponsored Active Affiliates Matrix Commissions and helps determine Member status. * $60 to $120 refers to referral commission paid when an IYL member enters the 301 or 601 program.